Selected glossary and index by Richard Veryard, with links to other material. Bezzle can be interpreted to cover a range of ethical crimes and misdemenours - from outright corruption and fraud to self-interested self-deception and greed. Few of the people who sold split capital investments as "low risk" were capable of exposing the dodgy mathematics that supposedly underpinned the sector - so they may have a reasonable claim to have been acting in good faith, based on prevailing knowledge. We need to take a particular perspective in order to interpret such scams as bezzle. Bezzle depends on clear notions of legitimacy, which are lacking in many situations. 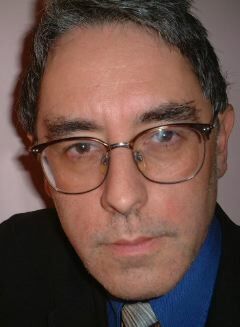 Chris Flitwick, who was at the centre of the split capital scam, has argued that the split caps were originally low risk, and that it was the investment practices of the fund managers that turned them into high risk. This raises some interesting risk management and trust issues - if events and changing management practices turn a low risk into a high risk, is there a duty of trust to notify all stakeholders that the risk profile has changed and give them an opportuity to reconsider their investment/involvement, or is there a duty of trust to mantain the original risk profile and bear the difference? Galbraith would surely argue that this phenomenon is itself dependent on the economic cycle - acting strongly at some times and very weakly at other times. Galbraith's theory is interesting from an epistemological perspective, because it suggests that bezzle is higher when it is unobserved (unobservable), and lower when it is observed. While this is intuitively plausible, it is scientifically problematic - because it cannot be tested through observation. These theories provide ways of making sense of recent activity - especially the flurry of activity around corporate governance and "ethical" acccounting standards. Based on these theories, we can predict that the energy behind this activity will subside as economic conditions improve. Doubtless many stakeholders will be counting on this. In the past few years, the level of public trust in accounts and accountants has been severely damaged. Some executives have evidently stolen from their shareholders for years, without any demur from the auditors. Other accounts have had to be restated, thanks to gross systemic error. Papers and reputations have been shredded, executives have been jailed or disgraced, large firms have collapsed, and stock markets around the world have taken a cold bath. There are undoubtedly many accountants and auditors who perform a dedicated and thorough job, carefully checking the accounts of their clients, and investigating inconsistencies and anomalies; but it has become apparent that the traditional auditing system is no longer able to deliver adequate guarantees of reliability and honesty in corporate accounts. Part of the problem is the sheer complexity of corporate accounting dataflows. Let's suppose your accounts are based on data output from one or more ERP packages, and exported into Excel for the final consolidation. Mix in some data from a few dozen legacy systems, sprinkle with currency conversion and actuarial calculations, and bake in a hot spreadsheet for a manic Year-End panic. Mistakes are inevitable, and not even the smartest auditor has much chance of spotting them. Cynical executives and conniving accountants may deliberately cook the books, but even honest executives cannot guarantee the results. The US Sarbanes-Oxley Act of 2002 (SOX) mandates what is effectively a systems engineering solution to this problem. Reliability is achieved not by human oversight alone, but by a set of information and control systems that ensures information quality and management accountability. Executive officers are required to sign the accounts and are criminally liable for any inaccuracy. The act also mandates near-real-time disclosure of any material events. In the past, reliability was equated with the moral character of the directors and auditors. Nowadays, reliability must be seen as an engineering problem. This blog provides a rough glossary to some of the notions explored in my other blogs. Each post in this blog may lead to material elsewhere. This is currently a low-tech blog, without comments or trackbacks. If you have your own blog, please post a comment and reference this blog. Otherwise, please drop me an email.